Paul C. Freel is a Graphic Designer & Web Specialist for Nuts and Bolts Web Design. Paul received a Bachelor of Science in Multi-Media Design from Wilmington University. He joined the NABWD Team in 2010, first as an intern and later hired as a graphic designer. Paul is also an educator, and has been working for the Red Clay School District since 2012. While growing up he was interested in illustration, art, design, and technology leading to a career in graphic and web design. 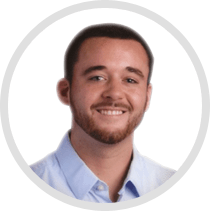 Along with his design work, Paul currently is training in web development and coding to sharpen his skills in this ever evolving technology world.